Most of us benefit from evaluation. Whether it’s the annual review with our employer or a physical assessment with a personal trainer, we appreciate being told where we are and where we need to go. Some can accurately assess their own progress, but for the rest of us, it’s beneficial to have a third party weigh in and provide feedback. Hence, the allure of the quiz. Magazines like Cosmo and Redbook capitalize on quizzes, inviting their audience to learn more about their dating style or the best cosmetics for their complexion. Sites like Buzzfeed create viral quizzes telling you which Harry Potter house you belong in or which Kardashian you’re most like. We take IQ tests, personality tests, anything to give us insight into ourselves and to improve our chances at successfully navigating this world. But quizzes aren’t only appealing to us as consumers; they can help our business and branding efforts as well. Our love of taking quizzes makes them one of the most powerful tools you can use to grow and engage your audience. In your day-to-day life, who is evaluating you? Your boss? Your doctor? Your professor? What do these folks have in common? They are all authority figures. By creating a quiz or assessment, you are establishing yourself as an authority in your field. This doesn’t mean you have to go through extensive research and beta testing; this isn’t a scientific or academic study. Rely on your current expertise to create an assessment that will highlight the knowledge you currently have–especially if it’s something your audience may be lacking! 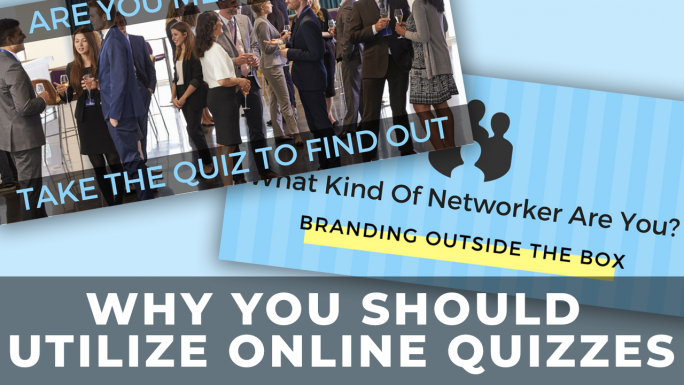 Creating a quiz that appeals to your target audience is a quick and easy way to grow your audience. People may be less inclined to sign up for your email list simply to receive your monthly updates, but if you create a powerful quiz that requires users to enter their email in order to obtain their results, they’re far more likely to share their information. Not only do people enjoy taking the quizzes, but they’re also inclined to share their results with their friends and social media networks, which leads to more participants, and in-turn, more email addresses. For me, one of the most beneficial aspects of creating quizzes is it gives me the opportunity to discover more about our audience. I occasionally send surveys or ask questions via email, but those channels are more formal and don’t often get a huge response. A quiz, on the other hand, is a two-way communication. Not only are you learning about your audience, but they have an opportunity to learn about themselves, which means they’re more likely to participate. A survey is a favor; a quiz is reciprocal. Learning about your audience allows you to create content that serves them. 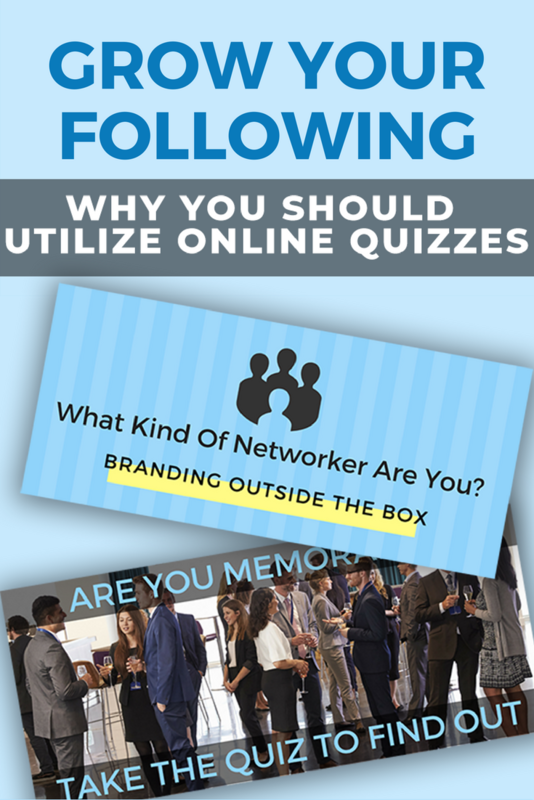 When I created the “What Kind of Networker Are You?” quiz, I learned that the majority of our audience are introverts. So I created Networking for Introverts, a training video specifically designed for the majority of my audience. Coaches and consultants use assessments not only to learn what their clients are struggling with and how they can help, but also to help the client gain that insight for themselves. So, how do you create your own quiz? We use Interact*, an online platform that helps you create custom quizzes. We’ve test driven a number of platforms, some free and some paid, and what I love about Interact is the ability to highly customize the look and flow of the quiz. As you know, brand consistency is important, so I want our quizzes to be housed on our website, utilize our fonts and color palate, and have the same look and feel as the rest of our site. The platform also supports collecting email addresses, integration with our email service, and analytics to provide further insight into our users. It’s exactly what we need. You may not need all of this, so test drive a few and see what works best. Want to see for yourself? Take one of our quizzes below!